Most of us here, have witnessed technology growing at rapid speed since the last decade. We have seen the days when very few people use to own land-based phones and today we are using smartphones. If you take a look back at history, no one believed Bill Gates can create an empire based on software (Windows). Not to mention Late. Steve Jobs, who worked towards home/personal computers. The world has always been at decline mode whenever a revolution starts. Very soon, most of us believe that we are going to witness another revolution, the invention of A.I. (Artificial Intelligence). 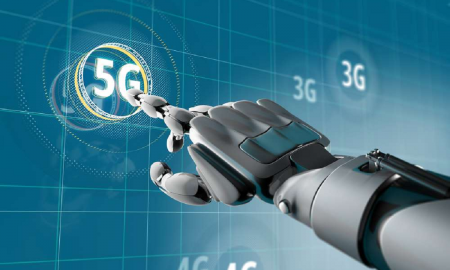 We also understand that 5G for data connectivity is just around the corner. These two technologies can do wonders for the human race but at the same time, it raises many certainties. When we first introduced with voice calls over the network that was the invention of 1G. 2G brought texting to the network and worked as an addon to existing infrastructure. 3G & 4G has provided us with data connectivity with higher speed respectively. However, with 4G we get to make video calls, watch videos without any lags which were implemented as another upgrade to the similar infrastructure. With 5G coming into the picture, it's more than just an upgrade. As studies suggest, the 5G network cannot be built upon the existing infrastructure. It requires to be built from the very scratch which means it requires more time and resources to get it implemented. Since it's a whole new network it has its own advantages. High-Speed speed connectivity doesn't start to explain 5G. The major benefit would be no data loss, 100% uptime with instant response time. Instant response time is something that we require for IoT (Internet of Things). It doesn't seem to be big of a deal breaker when it comes to using IoT for home automation systems such as Google home or amazon echo. Asking smart assistants to turn on/off some appliances is something which can work comfortably with lower response time as we are using it today. We should also consider various upcoming solutions such as self-driving vehicles. There's a huge industry being built around it. If and when we achieve self-driving solutions, response time plays a major role, even a little bit delay could raise a life and death situation. Another thing, worth noting is that many people raise concerns about the implementation of 5G networks, due to higher radioactivity. Which is something that requires more research and studies? As I mentioned above, whenever a new revolution is around the corner, people get panic. This is not a pressing issue for what we are using today but this could raise a life and death situation for what want to achieve. We are on the edge of technical evolution. Where machines would be aware or conscious. Which means computers that can think on their own, learn on their own and make decisions on their own. If we take an example of Google, It knows everything about you, probably, more than yourself. On the other hand, the development of Artificial intelligence can unlock many possibilities for humans. Even in the case of self-driving vehicles, there would very few chances of meeting an accident. As there would be no human with emotions driving the vehicle instead, there would be a machine with rules and regulations driving the wheels by keeping safety at a higher priority. This is of course just one example of many possibilities waiting for us to be unlocked in the future. We know Satoshi Nakamoto invented Bitcoin after 2008 economy crash. The whole idea was to bring the power back to people with decentralization but that was just a start. If we take a look at existing blockchain projects. Enthusiasts are working on blockchain to create a solution for many problems such as cloud storage, decentralized internet, remittance system, real estate and what not. We know A.I. will mean about learning human behavior, where question raises, If a company or centralized servers are capable enough to handle A.I. 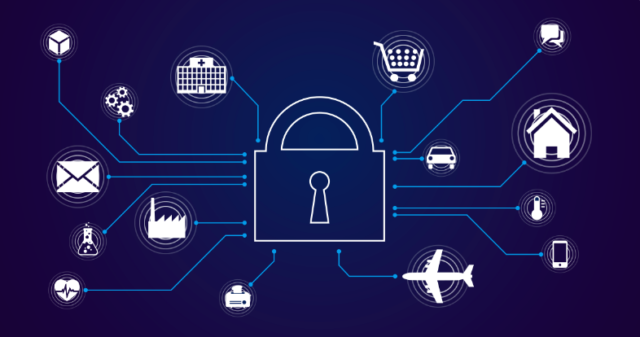 with such tremendous power and information or will blockchain technology is the solution for this to eliminate higher risks and vulnerability by making it decentralized. The most interesting thing that occurs in my mind when we talk about A.I. with self-awareness and consciousness. What currencies would it choose, the fiat or the crypto and why? As what we are going to witness with A.I. evolution is the machine to machine transactions with human interactions. Mostly everyone likes development and upgrade but adoption of 5G will take some time because it operates above 30 GHz and still has to pass many safety tests. All our current devices and wireless platforms operate under 3 GHz. As for the currency of self-aware machines, I highly that they they will ever use the one which is understandable by Humans, maybe some form of Quantum currency. Wonder if anyone actually put a gerbil in a cage next to a 5G router for a year before selling the tech. Or if big pharma was just looking to hike cancer drugs by 1000% when everybody has it. @bunnychum I was hoping to ask you if you would be interested in Leasing your SteemPower to me for Daily STEEM Payments. I have left you a similar message on Discord. A very valuable article. Thank you for this informative article. I believe 5G is Patented Military grade weaponry. @bunnychum, In my opinion, Over Technology and overly Technological Tools are not good for the Human life. Stay blessed.